In this week’s Pet Talk, Maneka explains about mating in elephants, about Red Pandas and also gives tips on how to get rid of flies from house? What characteristics do elephants display when they want to mate? The courtship between a male and a female elephant is short lived. They will rub their bodies on each other and even wrap trunks. The female tends to run away from the male and he will have to pursue her. This game of cat and mouse can continue for a long time before the actual mating does occur. The male elephants will fan their ears more, when they are ready to mate, than at other times. This allows them to get their scent out there at a wider distance than before and to attract females that can become potential mates. The older males, from 40 to 50 years of age, are the most likely to breed with females. The females are ready to breed when they are about 14 years of age. There is plenty of aggression among the males for the right to mate. 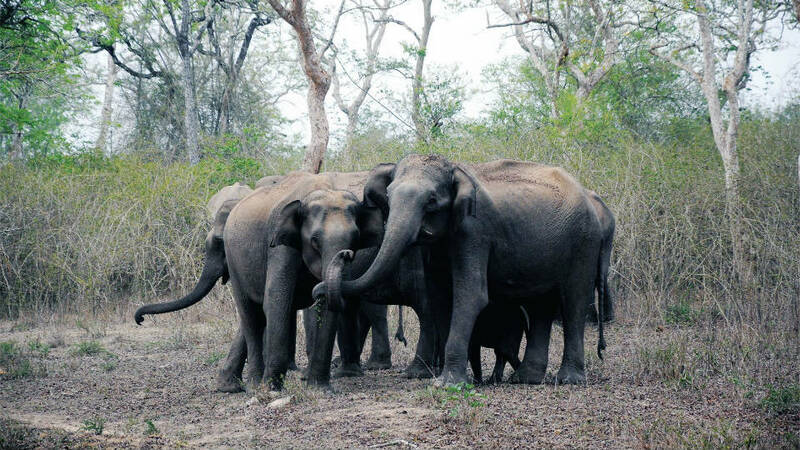 The younger ones, though, are usually no match for the strength of the older elephants, which is why they don’t get to mate until they are much older. This tends to make it harder to increase the numbers of elephants in the wild. Are Red Pandas endangered species in India? Red Pandas live in temperate climates, in deciduous and coniferous forests, usually with an understorey of bamboo and hollow trees. This makes them a key species of these forests and indicators of forest health. They are found in the Himalayan region, in parts of Nepal, Bhutan, Myanmar and in the Indian States of Sikkim, West Bengal, Meghalaya and Arunachal Pradesh. The majority of the Indian population occurs in Arunachal Pradesh. Red Pandas are declining over much of their range due to habitat loss and fragmentation. Forests are being cleared for timber extraction, agricultural development and livestock grazing, even within national parks and wildlife reserves. This has resulted in the loss of nesting trees and the bamboo understorey on which the species feed. The Red Panda is also hunted for its pelt, which is used to make traditional hats and clothing in China. They are also caught in the wild and kept as pets in certain parts of India and Nepal. WWF-India is currently working to enumerate the status and distribution of Red Panda in the Khangchendzonga Landscape — involving the States of Sikkim and northern West Bengal. In process is the field data collection, on distribution and status of Red Panda from Meghalaya and Arunachal Pradesh, to identify its potential habitat in the region and enumerate the threats and pressures it faces. Can cats and dogs survive on a vegetarian diet? Cats are obligate carnivores. Obligate means, by necessity. It has to do with the amino acid profile in animal tissue. Cats aren’t designed to eat carbohydrates. Their bodies don’t produce the enzymes required to digest carbs. If you want to keep your cat on a vegetarian diet then you need to put a pinch of enzyme, such as Taurine, in the food so that the cat does not go blind. Dogs are omnivores. The canine body has the ability to transform certain amino acids, the building blocks or protein, into others, meaning that dogs can get all the amino acids they need while avoiding meat. Even veganism — consuming a diet that does not include any animal products — though a little trickier, is possible for dogs. The right balance of different plant-based sources of protein (e.g., beans, corn, soy and whole grains) can still provide the needed amino acids. How do I get rid of flies from my house? Use Plastic Water Bags: Take a clear plastic bag filled with water and hang it at your entrances. Flies will not be able to enter your house. Due to their structure of eyes, clear water filled bags are seen as something resembling a spider’s web or another illusion. You may see fruit stands with water bags hanging on their stalls. They do it to keep the flies off their fruits. Use Cloves to Repel Flies: Flies cannot stand the scent of this spice. Cloves can be used with lemon, yet another smell that flies are not fond of. Use Camphor to Repel Flies: Camphor is somewhat like a dry, waxy, white substance derived from the wood of the Camphor Laurel tree. It has a strong smell that deters insects. It has been traditionally used in India to purify the surrounding environment, as it has strong anti-bacterial, anti-viral and insect repellent properties. Take 2 camphor tablets and place them on a warm surface. You may use your mosquito repellent device or use a heat diffuser or you may simply heat up a metal plate and place the camphor tablets on it. If you too don’t like the strong odour of camphor, just place the camphor tablets close to places where flies frequently come. Take some water, preferably hot water in a bowl or a wide shallow plate. Place 2 tablets of camphor in this water. Keep near fly infested areas.